What Makes HP Toner Cartridges Meet Most User Expectations? 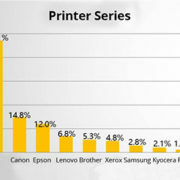 HP (Hewlett Packard) has continued to maintain its competitive edge over other printer manufacturers in the Industry. The only reason could be the HP LaserJet toner cartridges that are built to compliment every HP laser printer that comes out of production facilities. Printer design is now almost generic, where parts and components are no longer exclusive and supplies could actually be interchangeable. 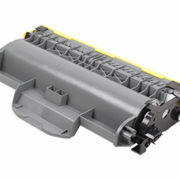 In effect, no printer holds dominance in reliability, but not in toner cartridges because HP has infused technical innovations unique only to its cartridges – the edge sorely missing in other brands. Why homes and offices continue to patronize HP laser printersand consumable?Over the years, HP has introduced many first in innovation that benefit the Industry. In fact name any revolutionary concept in printer design and HP undoubtedly is behind the idea and design. HP has built a solid name and reputation that its name became synonymous to printer reliability. Hereunder are some features that truly make HP printer and toner cartridges a runaway winner over the competition. Stunning texts and graphics.Two technologies are seen responsible for its outstanding printouts: One is the Image Resolution Enhancement Technology (Image REt) 2400 that allows development of precise details and true-to-life images. The Image REt achieves extraordinary results by combining toner colors indiscriminately to produce millions of brilliant colors. Second, the intelligent ColorSmart 11 compliments by analyzing what is to be printed and automatically responds by delivering the document the way it must be presented. For homes and office use.HP laser printers are no longer confined to the offices but are now more flexible in homes. 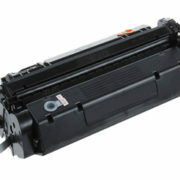 This significance is brought by the introduction of portable and replaceable toner cartridges that HP devised early on. 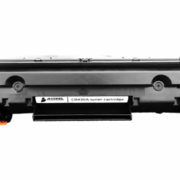 The Q6000A black HP LaserJet toner cartridge, for instance, has been designed with the phenomenal capability to deliver the fine prints expected from the HP device. Therefore, extraordinary prints can be made whether one is in the office or at home. HP equipment capability.It is the added incentive because users will not only be treated to the best in printouts, but also responds reliably to any volume workload conveniently. In offices where high-volume printing is required, a compatible HP laser printer and consumable is available to answer convincingly this particular need. HP has devised printer and consumable to match any printing requirement whether one is into 5,000-monthly duty cycle or over the 100,000-monthly volume requirement. The HP machines have consistently become the runaway bestseller globally, a feat of recognition for the various technical innovation that it introduced for the benefit of the users in the Industry. Next time you need a machine and HP LaserJet toner cartridges that wows and also meet every user expectation, pick one from among HP’s reliable line up. Jeric O. Tero supplies web content for Laser Tek Services, Inc. Looking for the highest quality HP LaserJet toner cartridges available at factory direct prices? Visit http://www.lasertekservices.com. https://www.asseel.com/wp-content/uploads/2018/04/HP-Toner-Cartridges.jpg 246 365 administrator https://www.asseel.com/wp-content/uploads/2017/10/asseel.png administrator2018-04-18 03:44:282018-04-18 03:44:28What Makes HP Toner Cartridges Meet Most User Expectations? 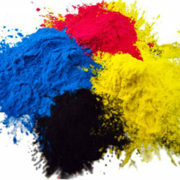 What is the Difference Between Ink Cartridges And Toner Cartridges? How to Resolve the Samsung ML-2010 Printer Print Fading? 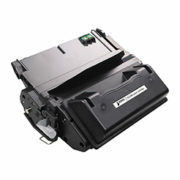 Why HP and Canon Laser Toner Appear Chip does not Recognize Printer? Why Should you choose Asseel As your toner cartridge partner? 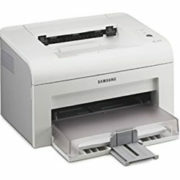 Comparing Toner Cartridge and Ink Cartridges How to Resolve the Samsung ML-2010 Printer Print Fading?